We visited 2 more villages this day & talked about water wells. The first village of Kagoma had two broken wells & we got to sit in on a meeting with the village & Kibo about a plan to get the wells working again. The second village we saw was Waliio, where we were able to be there as they put the finishing touches on a well & started pumping water. We drove about 4 hours east to Mt. 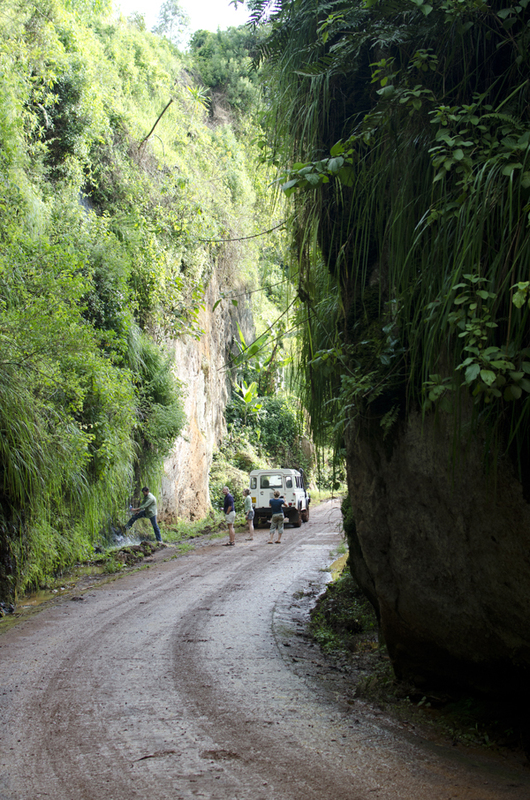 Elgon, near the border of Kenya. Mt. 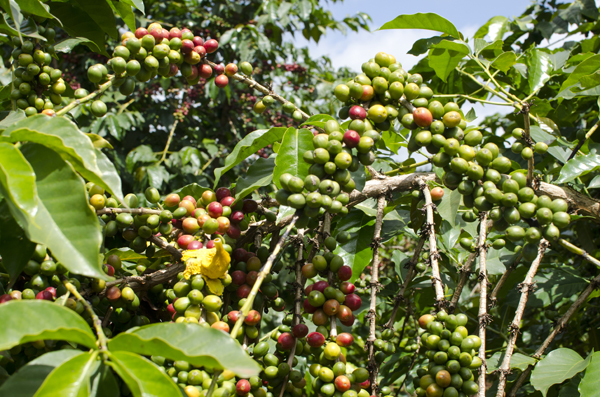 Elgon is where the coffee that The Source Cafe uses comes from. 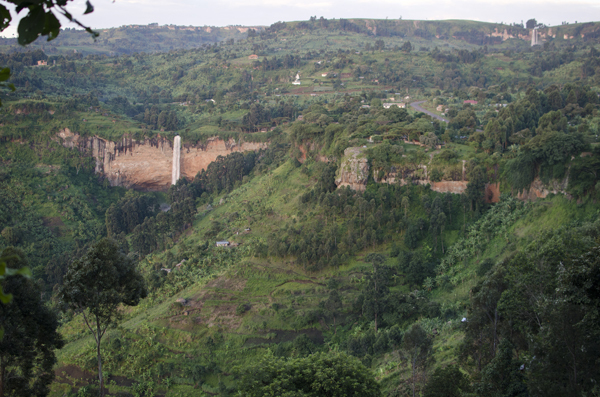 We stayed the night at the Crow’s Nest, which had a pretty amazing view of Sipi Falls. We got to visit a coffee farm & see a processing facility that is working with coffee, maize (corn), & barley farmers in the area. Ben took a harrowing trip to look for a coffee research facility that afternoon (I stayed at the lodge) & ended up with what sounds like a terrifying ride, sliding in the mud alittletooclose to some cliffs. The pictures look cool though!